From my bio and posts you may have caught on to the fact I have supported this product since LCS 2003 and switched to Program Management (not for a feature or component but more of running projects and working with customers and partners in managed programs) around 2007. In the support role and continued today I have this one tool that I fall back to on occasion when analyzing log files – TextAnalysisTool.Net. It was always painful to tell a customer how easily I was able to parse their large client or server logs to find the answer when the tool was originally available internally only. 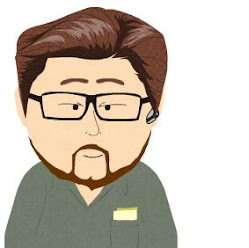 Today, one of my peers asked me how I had parsed some partner logs for the IP Phone (Tanjay) failing with Update Server and when I grabbed the internal link the author had posted it was now available publicly. Due to the logs I view most I saved a filter with: TL_ERROR, TL_WARN and FAIL – each as individual items and a different color for each. CTRL+H enables the filter and disables it. When I enable the filter and find a line of interest, I highlight that line and then disable the filter to see the lines before and after. You can also save the filtered output as a new file, this is great when you want to show someone only the relevant items of their issue.